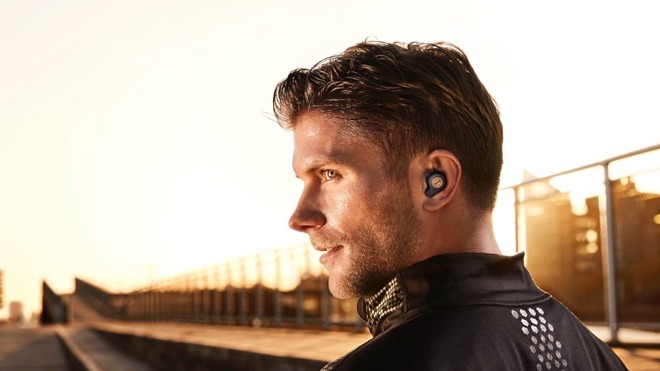 Coming in a distant second was Jabra's fitness-focused Elite Active 65t, Counterpoint Research said in a report released on Friday. 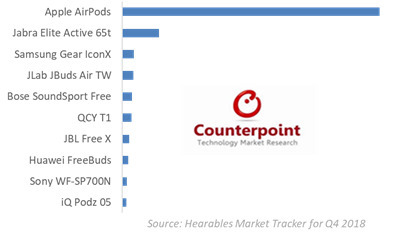 Others in the top five include the Samsung Gear IconX, the JLab JBuds Air True Wireless, and the Bose SoundSport Free. Jabra likewise claimed second in global marketshare, but nowhere near Apple's percentage, sharing the remaining 40 percent of the market with brands like Bose, JBL, Samsung, JLab, and Huawei. In terms of regional markets, soft spots included China and Europe. 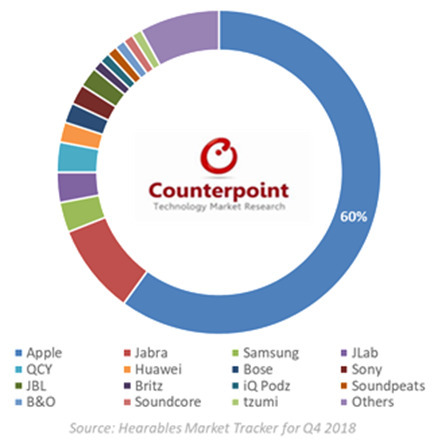 Jabra in fact beat out Apple in Europe with a 14 percent share, aided by the arrival of new brands like Arbily, HolyHigh, and Vigoshop. 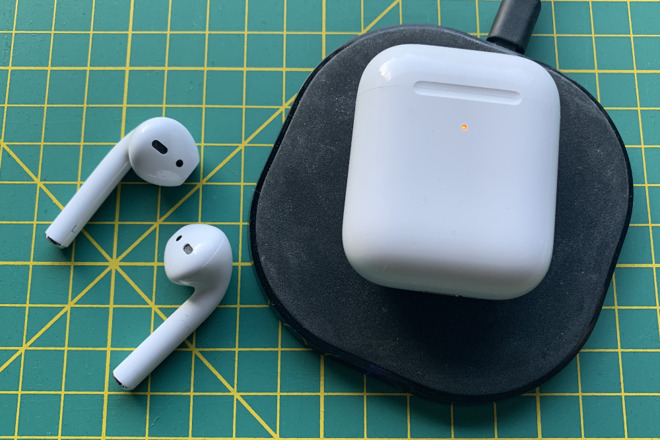 Apple's worldwide performance was "dented," Counterpoint said, by people waiting for the company's second-generation AirPods, only recently released. These optionally ship with a wireless charging case, and use the company's new H1 chip, which improves battery life and connection speeds. Another factor diluting Apple's share was the performance of smaller brands like JLab and QCY, which while not as well known can attract people with reasonable price and performance.